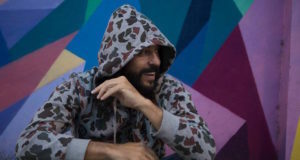 Ahead of his Jazz Cafe show in London, we wanted to know what was currently on the mind of Brazilian hip hop maverick Gabriel o Pensador AKA The Thinker. He kindly waxed lyrical about everything from football, his home town of Rio and, of course, the state of politics in Brazil…. There are a lot of kids rhyming and recording rap in Brazil over the last years. Some of them making good music, spreading cool messages and others are more into entertaining and copying a little bit of the American way. I am very proud to be one of the pioneers in Portuguese rap. When I started we were like aliens. Nobody knew what that was. Freestyling onstage? Wow it was something totally unexpected, people always went crazy when they listened to this for the first time. I’m glad that so many could follow this path we helped to open because it was not easy to break down the resistance in the media, radios and record companies. I love sports. Football and surfing are my favorites. I had the chance to play charity matches in big stadiums with legends like Romario, Zico, Cafu, Careca, Bebeto, Ronaldo, Neymar, Deco and many others. It’s common that artists and professional players collect donations for people in need. Once I was invited by Deco to play on his side with a very important player in the match. Deco was mad when I took a shot at goal and missed when i could have passed the ball. It was Lionel Messi! So I was punished and replaced in the 27th minute of the first half. Long story short – everybody was passing the ball to Messi and he tried all he could but could not score a goal. I came back on in the second half and scored our third goal and got the match tied with a final score of 3 – 3 ! The idea of writing “I killed the president” part 2 in 2017 came to me when I knew about his decision to open a huge part of the Amazon forest for mining despite public opinion against it. That was when I started writing the lyrics, in which I talk not only about one politician but about this absurd process of politics in Brazil. And about how life could be different if this old politics and/or politicians could die and make room for something really different. It’s a great city with nice people unfortunately ruled by bad politicians and criminals. I lived my whole life there and still stop to take pictures of the view as if I were a tourist. But to be honest, it’s a crazy reality we have there, especially inside the poor communities where the drug war affects so many innocent people. I have a brother who has lived in Brighton UK for a few years, currently working as a waiter, and when he goes to Rio on vacations he has so much fun, all day in the beach, good parties but he doesn’t wanna go back there for a living now. So I guess my city looks much better when we see it with the look of a tourist. Well this question makes me think about my future projects, my head is now full of mixed ideas including music, poetry, books, videos for my you tube channel and maybe some TV all the whilst we are permanently traveling doing concerts, touring and some surf trips to refresh my soul. I guess I will keep going on like this, all at the same time, in a chaotic way, improvising a lot and exchanging so much emotion and ideas with thousands of people on the way. It’s all about communication and sharing the love.